What if I told you the secret to getting more leads on your website, was simply telling people what to do? I’m not talking about being bossy. I’m talking about using persuasive language to get your visitors from point 'A' to 'B'. This my friends, is the ‘Call to Action’. When used properly, it can convince even the most skeptical to fill out a form or make a phone call. When used improperly, it can result in a shortage of business for your company. In marketing, a call to action is an instruction to the audience to provoke an immediate response. This can be achieved with statements like “Click here to …” or “Find out more about... ” - you get the idea. The more powerful the statement, the more likely it is to get some kind of response from your audience. A good call to action will convince your audience there is no other alternative - they ‘must’ click to learn more. Did I mention you should test? Your calls to action can make or break the number of leads you generate from your website. If you’re getting a lot of traffic, but not many leads, your calls to action are weak. It’s important to schedule time to review and analyze your calls to action. Try out different versions and make small adjustments along the way until you get the results you’re after. Pro Tip: A/B testing tools are the best way to do this. 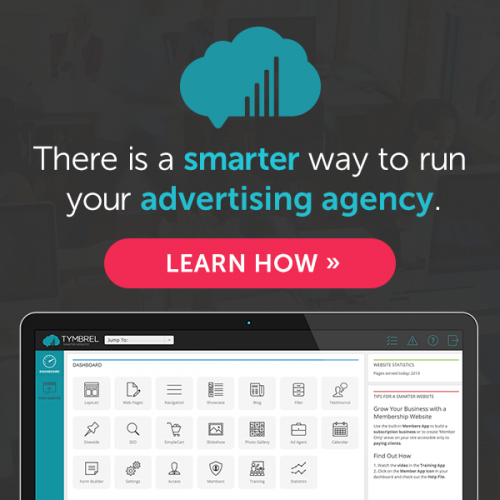 Try the Tymbrel Ad Agent App to create different versions of your calls to action. Receive more leads on your website - get insider tips and tactics to improve your website. Enter your email address below and start out performing your competition!